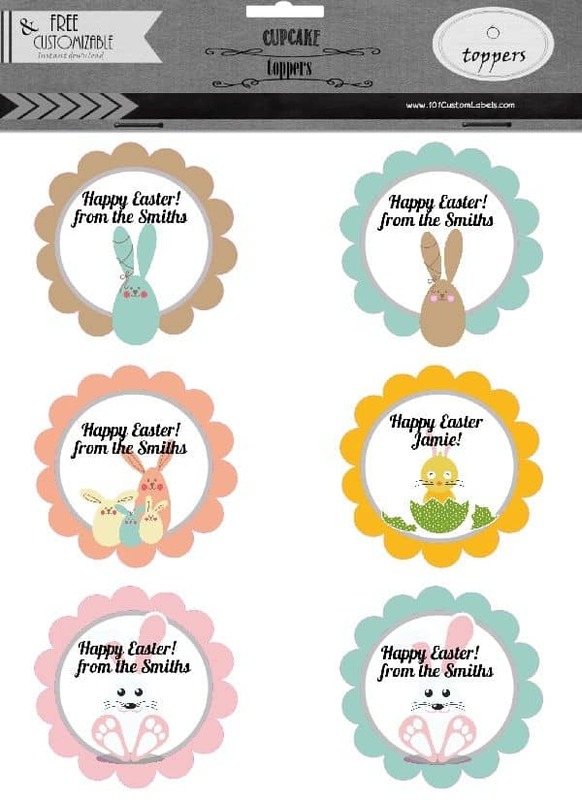 Create personalized Easter cupcake toppers with these free printables. 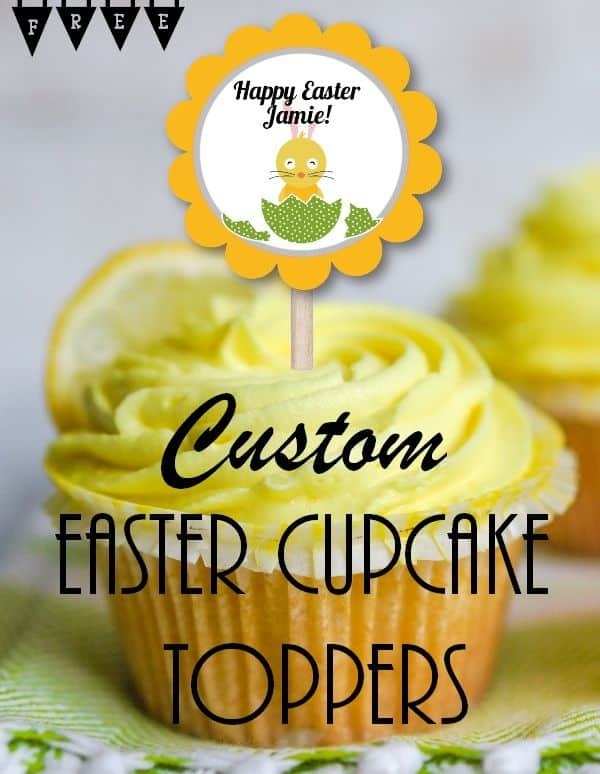 Create these cute custom Easter cupcakes with your own personalized text. If you don’t want to personalize them then you can print as is (Happy Easter!). Click on the “customize” button to open the cupcake topper maker. Personalize the text on each topper. Print on paper or on edible sugar paper. If you print on edible sugar paper you can cut out each topper and place on the cupcake. Edible sugar paper is fun to use and makes the cupcake edible. You can have the page printed online or at a local store that offers this service. The paper and ink are both edible. If you print on regular paper or cardstock you can use a round punch or scalloped punch to create a perfect cut. Attach a small stick to each topper. Insert into the cupcake. If you want to go that extra mile you can make two copies and put the small stick between the two toppers so that you don’t see the stick. Since it isn’t edible you can use a hot glue gun to attach the stick.